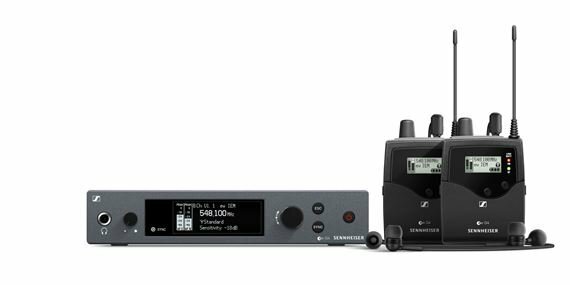 Order your Sennheiser EW IEM G4 Twin Pack Wireless In Ear Monitor System from AMS and enjoy 0% Interest Payment Plans, Free Shipping, Free Extended Warranty & 45 Day Money Back Guarantee. The G4 in-ear monitor is the ultimate wireless system that offers excellent sound, simple to use and reliability with room for growth. The IEM G4 delivering clarity along the whole frequency spectrum for daily use on stage. The Evolution G4 wireless is made for every conceivable application. Despite having a learning curve for people new to setting up these kind of systems, this unit has been on the road with me now for over six months and has yet to let me down. The battery life is great and the sound is second to none. High quality product, clear audio. This system is easy to use, allows for clear monitoring. Added some extra antenna, but has a good built in range for signal!! Excellent Buy. Really powers through, It is worth ever Dollar I spent on this. It is worth every dollar I spent on this unit. No more drop outs, no more static, just clean sound. I started with an inexpensive unit, and was happy but not over enthused. 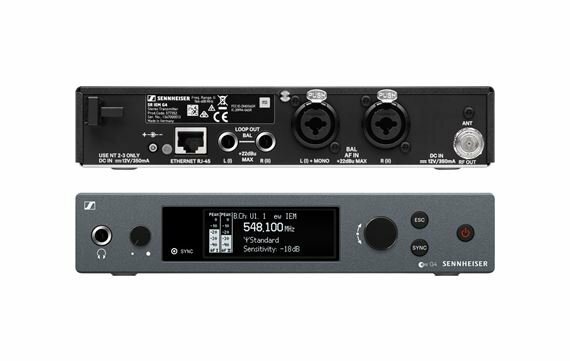 I have a Sennheiser Bass guitar wireless, so when I was in the market for an upgrade, I researched other units and this one seemed to have all of the bells and whistles that I needed. Now I can step out in the audience and still have monitors, that I know will not fade or drop. I play regularly about 8 to 12 times a month, and not having to deal with wedges or a system that does not stand up is great. I know it is on the high end of costs, but it is worth it, first the body packs are metal, yeah real metal not plastic. clear display, don't need to be an engineer to figure out how to use it. In my band we have 3 different IEM transmitters and now I am the only one not complaining. Sennheiser, great stuff, quality, support, and great product. If using more than 4 hours have backup batteries.also if using on active speakers.have fallout at 125 ft you can't get 300 ft .but at the 125 Mark works great. Great IEM unit, that is rider friendly, and industry proven. Being the updated version of the G3, the G4 is a great addition to any wireless rack out there. Though some feel the “updates” are subtle at best, I feel the changes made were all for the good, and you’re getting your money’s worth.